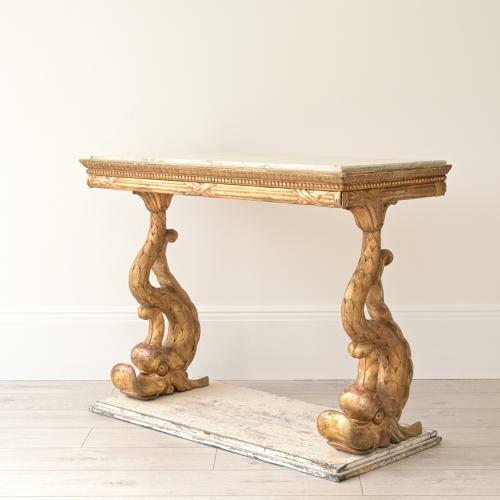 A very rare late Gustavian period gilded console table in the Empire taste with original white carrara marble top, supported by two decorative carved wood dolphins in their stunning original faded gilt patina. The console base has been hand scraped back to its original colour. Swedish circa 1810.